EPA boss Scott Pruitt plans to ditch Obama-era rules mandating much greater fuel efficiency. He says the move will enhance affordability, but that’s a foil for putting industry concerns first. As finance has shown, regulators who kowtow to those they oversee can cause a crash. 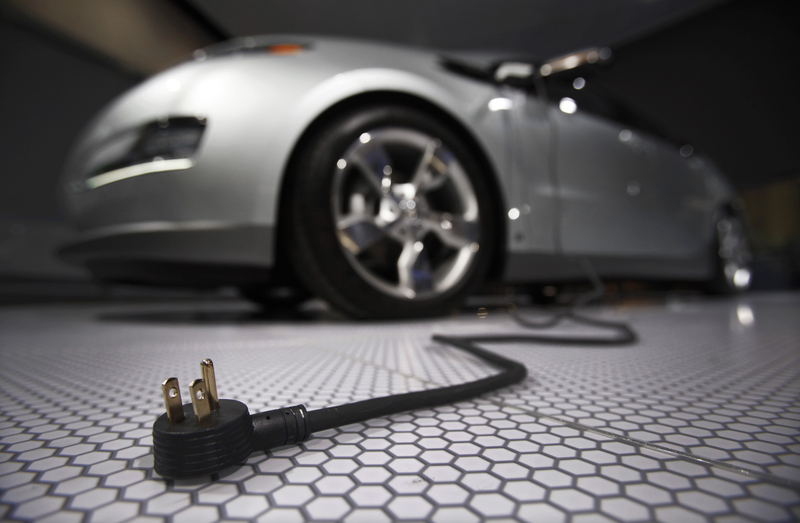 A plug is seen coming from the Chevrolet Volt electric car during the North American International Auto Show in Detroit, Michigan January 13, 2009. The current standards, finalized just as former President Barack Obama was about to leave office, require automakers to roughly double the average fuel efficiency of new vehicles sold in the United States by 2025, to some 50 miles per gallon. Pruitt also said the EPA is re-examining the waiver it granted California in 2009, which allows the Golden State to set its own standards for motor-vehicle greenhouse-gas emissions. Ford on April 3 said it sold 244,306 vehicles in the United States in March, a 3.4 percent increase from the same period last year. General Motors said it delivered 296,341 cars, crossovers and trucks in March, a 16 percent increase from a year earlier. Trucks and SUVs, which on average get worse mileage than cars, accounted for just under 80 percent of units sold in both March and the first quarter for both companies.